The best bands are even better on stage, just listen to Welcome Back My Friends, Exit Stage Left, Made In Japan, Uriah Heep Live, Yessongs and Genesis Live. Their live sound is clearly more powerful, dynamic, adventurous and exciting, without all those limitations during the recordings of a studio-album. 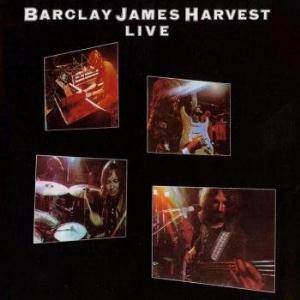 In the case of BJH, this live CD (London, June 1974) contains trakcs from their studio-albums between 1971 and 1974, all these tracks sound more subdued on the studio-albums. Most remarkable on Live are 3 elements. First the omnipresence of the unsurpassed Mellotron (M300 and M400 models), all live tracks sound way more Mellotron drenched. Second the guitar sound, more raw and powerful. And third the rhythm-section, more fluent and dynamic, especially the drums. These facts make Live to a far more interesting experience than listening to their studio-albums is my conclusion. From the very first second on Live we can enjoy BJH their pleasant, very melodic and harmonic compositions, loaded with the Mighty Tron. The vocals by John Lees and Les Holroyd are warm (often a bit melancholical undertone) and the guitar sounds moving, in beautiful interplay with the vintage keyboards from the late Wooly Wolstenhome. BJH is not a band that will surprise the proghead with jawdropping skills, complex breaks or elaborate compositions. Their charm is to carry you away with warm and compelling prog (often compared with The Moody Blues), embellished with melodic guitar work and a lush keyboard sound. Medicine Man (10:25) : A propulsive climate with a catchy beat and lush Mellotron violins. Halfway a break with spectacular pitchbend driven Minimoog synthesizer flights and a distorted bass solo. In the end howling electric guitar runs. After The Day (7:27) : This wonderful track is a Mellotron Heaven, topped by senstitive electric guitar. The Great 1974 Mining Disaster (6:30) : First tender electric piano, melancholical vocals and moving electric guitar, then a The Beatles-like atmosphere and again lush Mellotron violins. She Said (8:33) : A bombastic and compelling climate featuring a dynamic rhythm-section and floods of Mellotron. Halfway a folky flute tune and then a wonderful cunclusion with moving electric guitar and lush Mellotrons. Paper Wings (4:19) : From a slow rhythm to a catchy beat, topped with a fiery, wah-way drenched guitar solo. Mockingbird (7:37) : BJH their often used final concert song. It starts dreamy with twanging electric guitar and Mellotron violins, then gradually the atmosphere turns into bombastic, culminating in a climax with moving electric guitar, propulsive drum work, (of course) layered with Mellotrons. The final part returns into dreamy, what a wonderful end of a very beautiful and compelling live album, one of my all time favourite Mellotron records!